Consumer economics was born here. Family and consumer sciences (FCS), formerly known as home economics, gave birth to consumer education in 1909 with the founding of the American Home Economics Association, now the American Association of Family & Consumer Sciences (AAFCS). FCS today is the comprehensive body of skills, research, and knowledge that help people make informed decisions about their well-being, relationships, and resources to achieve optimal quality of life. The field represents many areas, including personal finance, nutrition, parenting and childcare, interpersonal relationships, family systems, career exploration and preparation, family resource management, design and merchandising, interior design, the apparel industry, and environmentally responsible construction. Founded in 1909, the American Association of Family & Consumer Sciences (AAFCS) is the only professional association representing members from both multiple FCS practice settings and content areas. For example, AAFCS’ 5,000 members work as secondary school FCS teachers, Extension educators, college deans and professors, and dietitians in settings such as state and federal government and test kitchens for food companies. 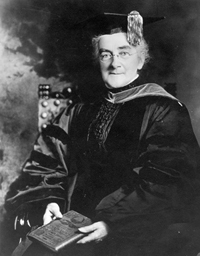 AAFCS was founded by the first female graduate and professor of the Massachusetts Institute of Technology, Ellen H. Richards, who was an activist for consumer education, nutrition, child protection, and the application of scientific and management principles to the family. In 1909, she and a small group of women and men met in Lake Placid, NY, and created what became known as the American Home Economics Association. In 1994, the organization changed its name to the American Association of Family & Consumer Sciences. Pioneered research to develop specifications for consumer goods and more descriptive labeling on textiles. Advocated successfully for the National School Lunch Act, which brought more nutritious meals to children. Developed and taught food handling and preparation to help families avoid the spoilage and contamination of food. Fostered the movement for preschool education. Researched and taught about household sanitation. Conducted food studies, leading to policy changes such as enriching flour. Performed the first extensive study of body measurements, thus standardizing sizes of garments and patterns. Helped protect the well-being of the nation's families in times of war, depressions, and other disasters through emergency feeding, nutrition, food, and clothing conservation programs. Took the lead in teaching “life skills”—personal finance, nutrition and dietetics, human/child development, and housing and interior design. Assisted in establishing home economics/FCS programs in college and universities. Advocated for critical improvements to "No Child Left Behind."